If you haven’t tried The Contour Installation Squeegee from ProToolsNow, you don’t know what you’re missing! It’s a true “must–have” for your tool apron. Just ask any installer who owns one. 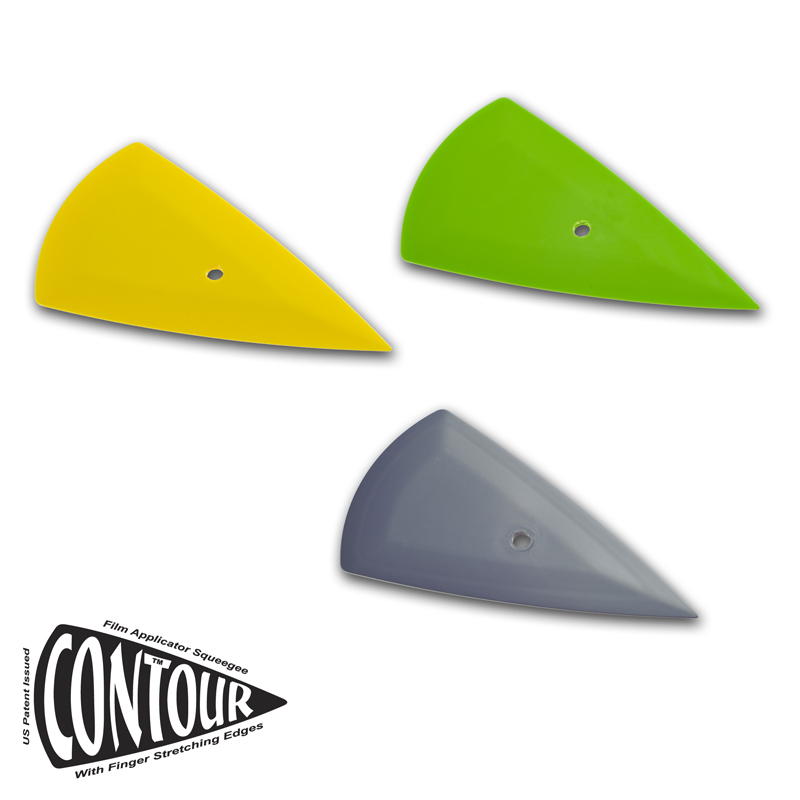 Designed around the principle that not all squeegees need to be flat, Contour has curved edges to match all those concave surfaces you deal with on a daily basis, making it a breeze to install everything from window tint, to vinyl graphics, PPF and vehicle wrap. The Contour also features curved edges which are Pro Tools Now proprietary Control Contour Technology (CCT). This feature enables the tool to encourage a finger or bubble to disperse outward which reduces the chances of a crease. Whether on glass or painted surfaces, Contour hugs the surface evenly while spreading radial pressure outward for quick film adhesion. Plus it has an elongated triangular shape that gets into all those hard–to–reach spots.